So today I was with my girlfriend and we were in a Luis Vuitton store (It was my first time). How my of can buy a $500 purse and walk away with a smile, blows me away (talking to a guy who has been using the same old wallet for nearly 10 years). As I was in the store and viewing the very, very expensive merchandise. I began randomly thinking of Glo-Bus lol. You see Luis Vuitton is effectively the low models, high quality strategy and effectively some people come into Glo-Bus aspiring to perform a certain strategy. This decision is led by ego, not business sense or practical knowledge. 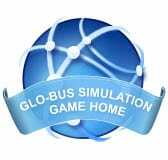 I have met many people who want to be the “Luis Vuitton”, and I personally won my first Glo-Bus game utilizing this strategy years ago. 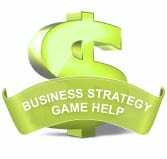 I have also met people who wanted to be the price leader or the highly differentiated company. All these strategies have their merits, but it only gets sketchy when the Industry isn’t right for that particular strategy. I have met companies who HAVE to do a certain strategy, they are not willing to adapt, and that is what Glo-Bus is about, having a baseline strategy, but adapting to the times. 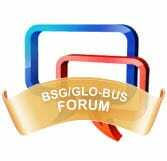 If you plan to win Glo-Bus , you need to be willing to change to the circumstances, that is a characteristic of a winning Glo-Bus strategy. If you keep holding onto a strategy and are unwilling to evolve, you must accept all the faults of that mindset.